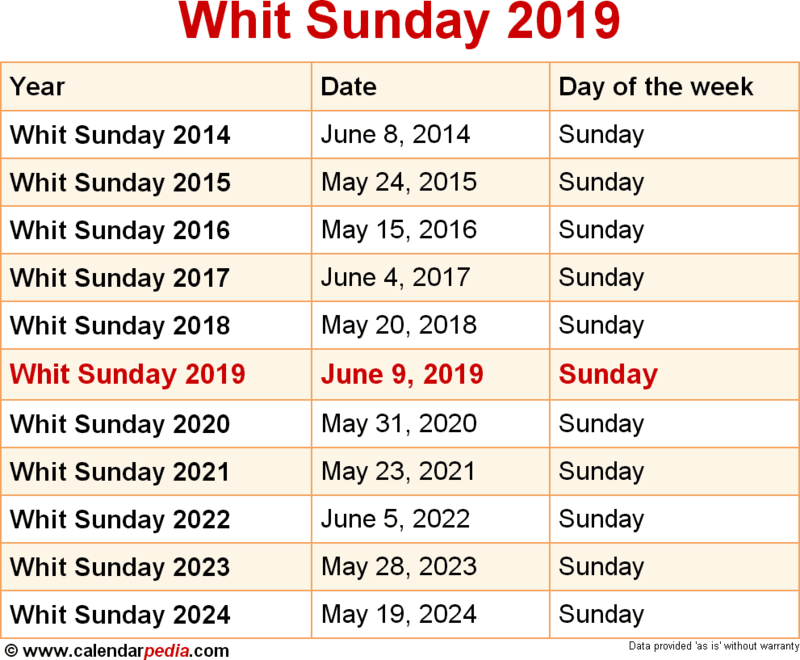 When is Whit Sunday 2019? 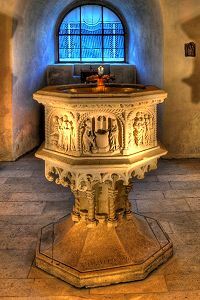 A baptismal font. Baptisms are often held on Whit Sunday. Whit Sunday, also referred to as Whitsunday, Whitsun or simply Whit (meaning "White Sunday", as white garments were worn by those newly baptized on this day), is the name used mostly in the United Kingtom for the annual Christian festival commemorating the descent of the Holy Spirit on the disciples of Jesus after his ascension from earth to heaven on Ascension Day. It is celebrated on the seventh Sunday after Easter. 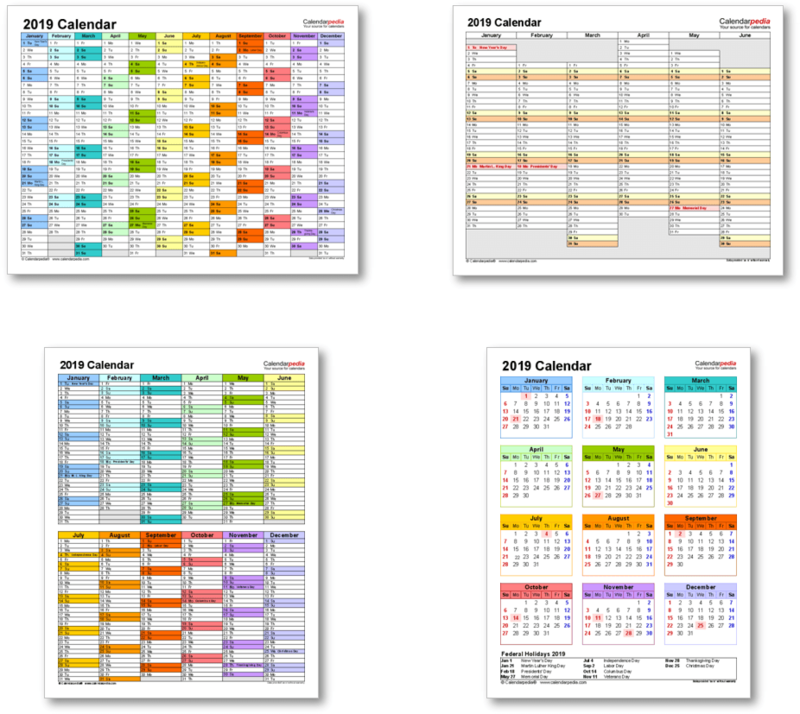 Outside the UK Whit Sunday is known as Pentecost, meaning "fiftieth day", as it is held on the 50th day from the beginning of the Easter season on Easter Sunday (including Easter Sunday in the counting). Some Christian denominations consider it to be the birthday of the Christian church and celebrate it as such. It can fall as early as May 10th and as late as June 13th. Whit Sunday is followed by Whit Monday (Pentecost Monday, considered to be "the second day of Pentecost"), a public holiday in many countries with Christian traditions. It was the start of a week (especially the first three days) of festivities called Whitsuntide (or Whitweek), which has now largely disappeared. When is Whit Sunday 2020? The next occurrence of Whit Sunday is marked in red.